Artika is a 11 year old girl. Artika has a twin sister Jyotika and 2 other siblings. Their father's income as a farmer is less that FJ$50 per week which does not cover the basics for the family. School fees are out of reach, and without support there is every chance they will be withdrawn from school after primary. 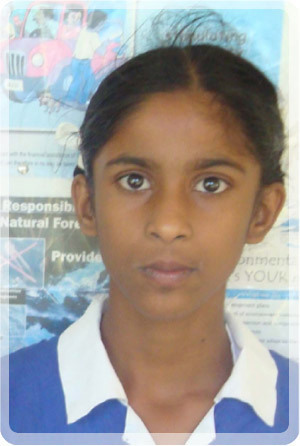 Artika enjoys attending school and her favourite school subject is all subjects. When she is not at school she loves to play with friends. Artika travels to school each day on foot, a distance of 5km each way. When she grows up, Artika is "not sure" what she wants to be. A neat worker. Her work has shown an improvement from her previous result and she is trying her best to learn new things. [Financial] assistance as such will help her continue beyond primary school. Artika now receives the education every child deserves.